There has been some news over the past few weeks about Marc Hauser, the Harvard psychologist found guilty of misconduct by the university last year. First, because Harvard had listed him in a course catalog, The Crimson said that he might be teaching again, following a ban. But that turned out not to be the case, as The Boston Globe reported. Two math journals have recently retracted two papers that share most of their text — and their first author. The two papers were “Unsteady flows of an Oldroyd-B fluid in a cylindrical domain for a given shear stress,” in Applied Mathematics and Computation, and “A note on longitudinal flows of an Oldroyd-B fluid due to a prescribed shear stress,” in Mathematical and Computer Modelling. The studies were published online last year, but hadn’t made it into a print issue yet. This article has been withdrawn at the request of the author(s) and/or editor. The Publisher apologizes for any inconvenience this may cause. 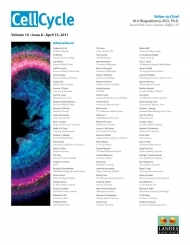 The full Elsevier Policy on Article Withdrawal can be found at http://www.elsevier.com/locate/withdrawalpolicy. In December, we reported on the retraction of a paper in the Proceedings of the National Academy of Sciences on a potential treatment for breast cancer. We later found out that the retracted research was part of the basis of a company that had an initial public offering a few weeks later. How the company dealt with the news of the retraction made for an interesting follow-up, and speaks well of the principles of the principals. This article has been retracted at the request of the Editors of Physics Letters A because there are unsettled issues on how the research was carried out, how the data were acquired and analyzed. The article was removed from the journal issue before printing although it appeared online. In addition, the article was accidentally published online twice in the same journal. As the notice suggests, this was actually the second retraction, of the same paper. Here was the first, in 2008, shortly after the paper was published. And here is a removal notice, from later that year. We haven’t come across such an occurrence before, although we’ve been writing Retraction Watch for less than a year. There are six editors of Physics Letters A, and we tried them all for comment on the “unsettled issues.” A few pointed to Burkhard Fricke, the communicating editor for the paper, who is no longer with the journal. He didn’t respond to requests for more information. As we reported nearly two weeks ago, the eminent surgeon Lazar Greenfield recently lost his position as editor-in-chief of Surgery News over a Valentine’s Day editorial that some readers, particularly women, found offensive. Surgery News is an in-house publication of the American College of Surgeons (although it’s published by Elsevier), and Greenfield was scheduled to take the gavel in October as the new president of the college. A team of Australian medical writers who analyzed four decades worth of retractions has reached the conclusion — we trust you’re sitting — that people in their profession are more honest than, well, the rest of us. According to the authors, articles in the medical literature are substantially less likely than other papers to be retracted for any reason, including mistakes or misconduct, if they have a medical writer as a declared co-author. The same applies for articles produced with the help of drug and device makers, either financial support or authorship assistance, the study found. And when both occur, retractions are vanishingly rare. Indeed, they found no instance of a retraction resulting from misconduct. Retraction Watch readers will no doubt have realized by now that we are often frustrated by the opacity of many of the retraction notices we cover. And some critics may wonder if we’re overstating that case. It’s a mind-boggling story: A United Airlines pilot claims to be a cardiologist and was eagerly sought after for medical conferences at which he taught doctors teamwork. He shared millions in grants, according to the Associated Press. But as the AP reports, William Hamman wasn’t a cardiologist at all, having never even finished medical school. 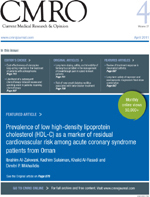 Hamman had published at least six papers using false credentials, including an MD and a PhD. 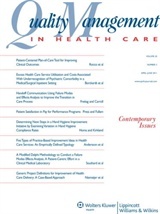 In December, Jean Gayton Carroll, editor in chief of Quality Management in Health Care, told us that the journal would be “reviewing and evaluating” a paper by Hamman it published last year, “Using in situ simulation to identify and resolve latent environmental threats to patients safety: case study involving operational changes in a labor and delivery ward.” That review, we learned today, has led to a retraction. Due to inconsistencies between some of the assigned structures and the experimental data that appear in the paper, the authors retract this publication. We regret very much this unfortunate occurrence. Should authors be encouraged to pick their own peer reviewers? If you’ve ever submitted a paper, you know that many journals ask authors to suggest experts who can peer review your work. That’s understandable; after all, as science becomes more and more specialized, it becomes harder to find reviewers knowledgeable in smaller niches. Human nature being what it is, however, it would seem natural for authors to recommend reviewers who are a bit more likely to recommend acceptance. Such author-suggested reviewers are just one source of the two or three experts who vet a particular paper, and are required to disclose any conflicts of interest that might bias their recommendations. Still, editors have justifiable concerns that using too many of them may be subtly increasing their acceptance rate. That’s why we’re interested in such issues at Retraction Watch. Increasing a journal’s acceptance rate, of course, could mean increasing the number of papers at the lower end of the quality spectrum, and perhaps up the rate of retractions. 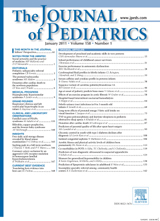 The Journal of Pediatrics recently peered into its own peer review system, Continue reading Should authors be encouraged to pick their own peer reviewers? Posted on April 8, 2011 Author Ivan OranskyCategories studies about peer review8 Comments on Should authors be encouraged to pick their own peer reviewers?